Low freight markets may appear to be advantageous to charterers. However, chartering has always been a complex business, and today the risk is greater than ever. The rapid rise then fall of the freight markets have exposed owners, disponent owners and charterers to hire payment defaults in the charter party chain. It is therefore essential that managers responsible for a company’s chartering activities should possess a knowledge of their markets and the skills to properly protect the company’s interests. A week-long case study has been especially developed for the seminar to illustrate many of the practical challenges and problems confronting chartering people daily. This practical Case Study is designed to run throughout the whole period of the course and to provide a thread which will link together much of the subject matter of the lectures. The aim is to allow participants to gain experience of the workings of the chartering market by active involvement in situations which are adapted from real events. Chartering is a potentially risky business — make mistakes in the lecture room where an experienced lecturing team can correct them. A simple-to-use voyage estimating "pro-forma"
What additional clauses to avoid at all costs. 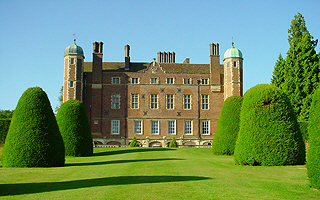 The fee for this residential programme is £4290 (£3575 plus £715 UK Value Added Tax) and covers tuition, documentation, private en-suite accommodation at Madingley Hall, all meals and a social programme. Thank you for a really educational and enjoyable course. The organization and administration were first class and the speakers excellent whilst the international cast of the participants gave it all an added dimension. The perfect balance of learning and enjoyment. To download a programme giving fuller details of the course (0.7MB), click here.